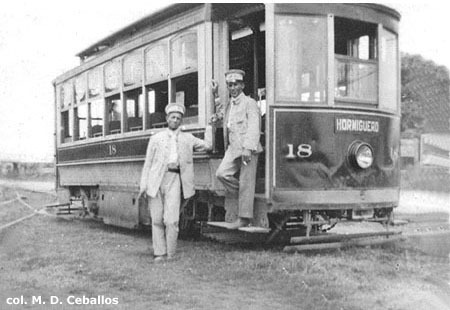 The author would like to express his sincere appreciation to Rafael Fiol, Jesús Lorenzo, Harold E. Cox, Andrew Beech and especially M. D. Ceballos and Francisco Eduardo Otero in Cienfuegos for the valuable information and extraordinary illustrations that they supplied for this page. Other details were found in the works listed below. 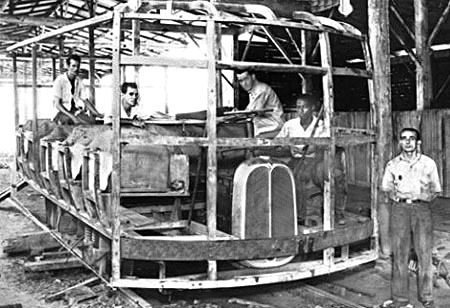 "New Electric Railway for Cuba." Cuba Bulletin (New York), September 1904, pp. 18-19. Description and map of the proposed Cienfuegos line. 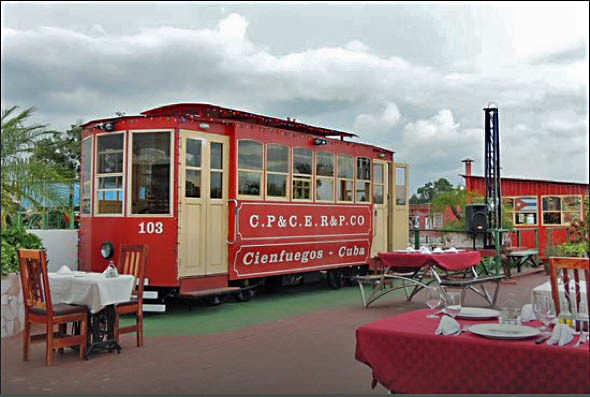 Cuba Review (New York). 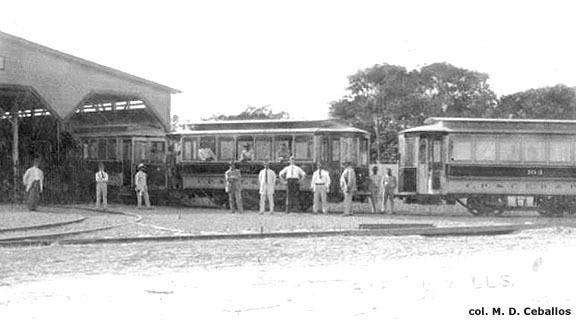 Short articles about the construction and operation of the Cienfuegos tramway in August 1910, p. 22; July 1911, pp. 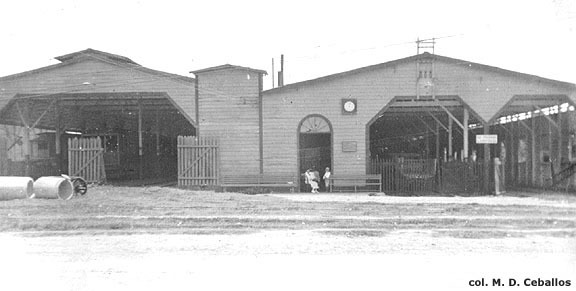 21 and 25; March 1913, p. 35; October 1913, p. 25; February 1917, p. 32; and October 1920, p. 24. 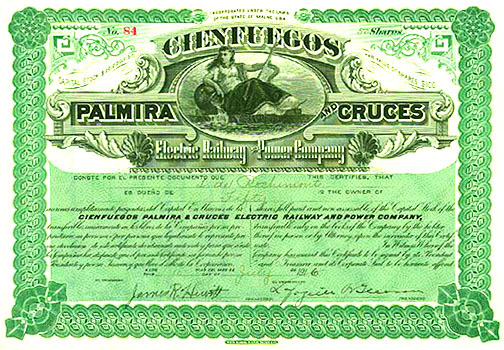 "Cienfuegos, Palmira & Cruces Electric Railway & Power Co. Survey of Development." U.S. Bureau of Foreign & Domestic Commerce, Trade Promotion Series #5 (1925), pp. 252-258. Detailed history and description. R. Carrillo. 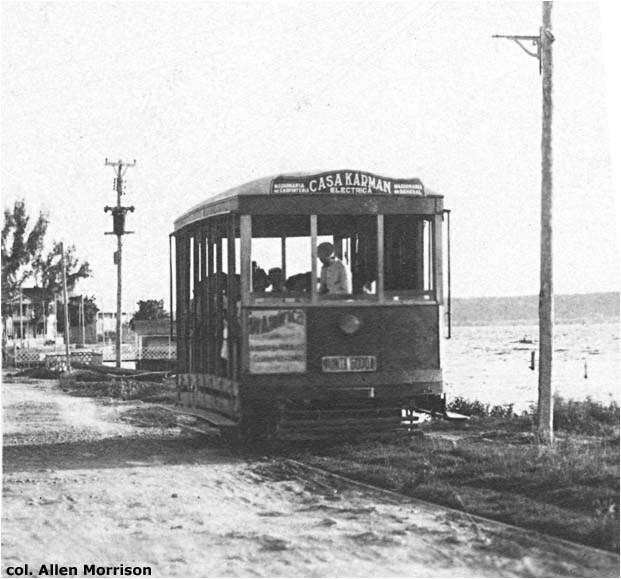 Cienfuegos: Plano Central de la Ciudad y de Punta Gorda. 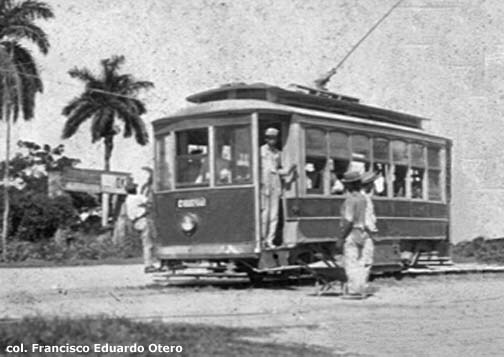 Cienfuegos, 1933. Large-scale map shows tram lines in central area. 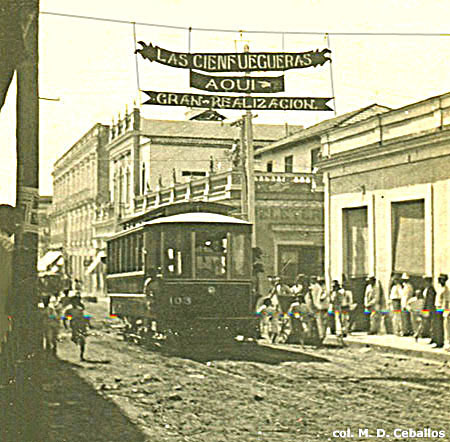 Plano General de Cienfuegos. 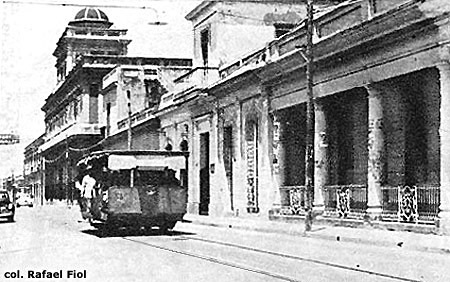 Cienfuegos, 1940. 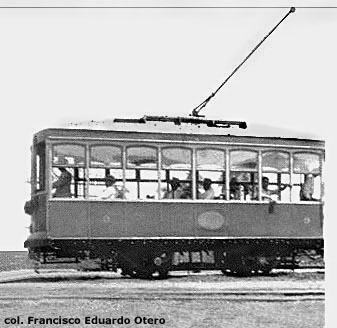 Large map shows the entire urban tram system, notes the "Estación Tranvías". Municipio de Cienfuegos. 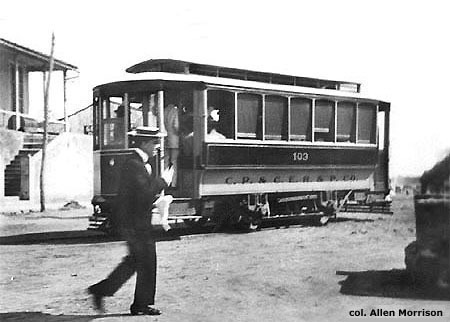 La Perla del Sur. 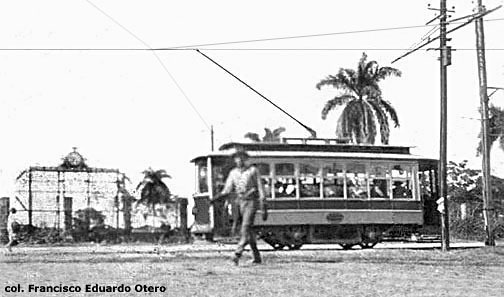 Cienfuegos, 1994. 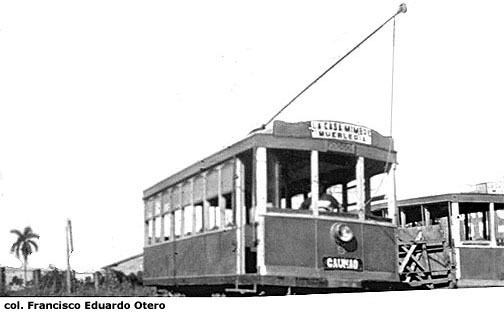 A 2-page article entitled "Transporte Urbano en el Cienfuegos de Ayer", by Francisco and Julio Jiménez, notes the "tranvías eléctricos de trolley" of the CPCERPC and the later "cucarachas". But the text is mostly about buses and does not say much about trams. 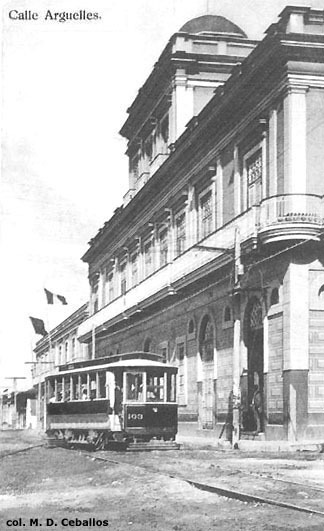 El Tranvía restaurant. 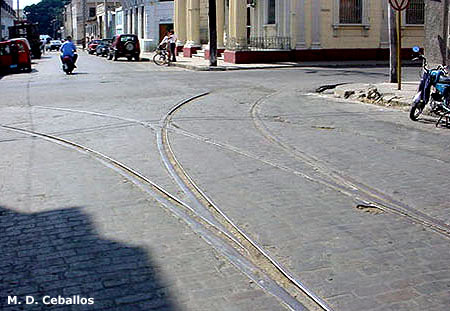 A nice page about a tram-themed restaurant in Cienfuegos. 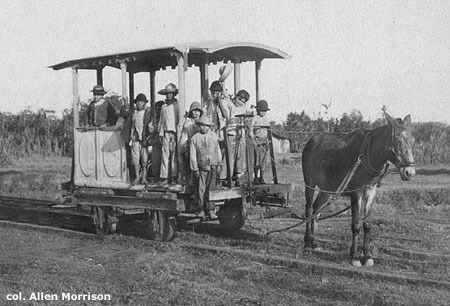 Click on the tram picture and "visitor photos" to see other views of the tram and the food.